IMG_2704 (3) The boys and girls had a fantastic time at our Céilí on Friday. Ms Patten taught them a few different dances like The Walls of Limerick, An Dreoilín and Shoe the Donkey! Check out our video!! The three First classes had a great time at ‘Music in the Classroom’ in National Concert Hall on the 13th March. 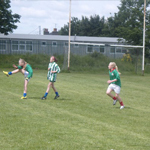 Gaelic training takes place in St Mary’s N.S. on Thursday afternoons after school. 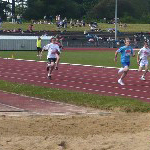 Both the boys team and the girls team take part in competitions throughout the year. 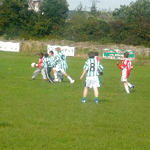 The boys and girls try very hard at training and have been doing really well in their competitions. Keep Up The Hard Work Boys! Boys soccer training has just started on Monday afternoons after school. Reg coaches the boys team. He is hoping that they will soon be ready to enter the many competions in the county. Keep up the hard work boys!!! !